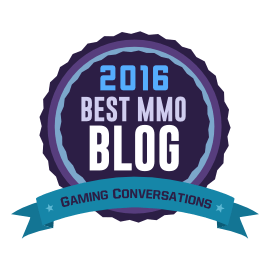 This month, I’m joined by illustrious blogger and podcaster Syl from MMOGypsy.com and Battle Bards. Syl gives us her take on some of the cultural differences she’s noticed within the gaming community, and we discuss some ways that language and culture can sometimes cause unintended misunderstandings. I’m joined this month by Joseph Bradford, contributor to Legendarium Media and the Gaming the Industry podcast. We talk about the importance of lore in gaming, what can be considered lore, and some of the specifics of how lore is handled in Lord of the Rings Online.